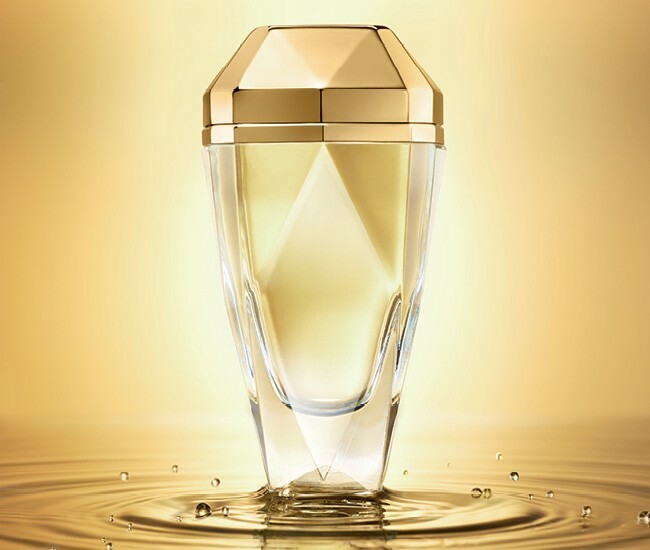 Fragrant Friday - Paco Rabanne Lady Million Eau My Gold! Paco Rabanne Lady Million Eau My Gold! - 50ml EDT - $75, 80ml EDT - $95 - conveys fantasy and femininity with an unprecedented delicate and effervescent touch in a floral, fruity fragrance with top notes of mango, neroli, bergamot, mandarin and grapefruit; heart notes of violet leaf and orange blossom; and warm base notes of musk, amber, sandalwood and cedar. The original Lady Million is a little heavy for my taste so I really appreciate this fresher version of it. The fruity notes make it a happier fragrance and something I would wear everyday! Available now at department and drug stores across Canada.